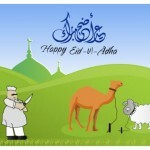 Eid – Meaning: Eid is derived from the root word of `Aada meaning returned. We all know that we return to Eid periodically. 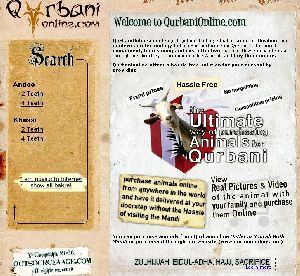 It is also said to have been derived from ‘Aadah meaning a custom or a practice. The reason being is that people customary celebrate it. “It is called Eid because it returns every year with renewed happiness.” Ibn al-Arabi. Zakat al Fitr: In Islam worship is divided in two categories – the spiritual aspect and the financial aspect of worship. The purity of spirit as well as our possessions is essential. Shahadah, Salah and Sawm are part of the spiritual worship whereas Zakah is part of the worship that involves are wealth. 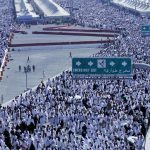 Hajj is a combination of both kinds of worship. Zakat ul-fitr means “the purifying charity of breaking the fast”. It is a prescribed amount of food given by the Muslims during the last few days of Ramadan or on the morning of Eid prior to the prayer. “The Messenger of Allah (peace be upon him) ordained zakatul-fitr to purify the fasting person from indecent words or actions, and to provide food for the needy. It is accepted as zakah for the person who gives it before the Eid prayer; but it is a mere sadaqah for the one who gives it after the prayer. The above report as well as the practices of the Khulafa’ clarifies the timing of Zakat al Fitr. One may start giving it a couple of days prior to Eid but no later than the Eid prayer. Whom should it be given to: It should be given to the Masakeen, who are those who have financial difficulties. The Eid Prayer: The Eid prayer is not preceded with Adhaan or Iqaamah. If the Eid occurs on a Friday, it becomes optional for men to attend the Jumu`ah prayer. The Eid Prayer is obligatory according to the majority of scholars. The Prophet (s.a.w.w.) always performed it and commanded the Ummah to attend it (menstruating women, of course, should not perform it but should witness it happening). There is no sunnah prayer that precedes it or follows the Eid prayer that is conducted in the Eid-gaah/Musalla (in the masjid one should offer the two rakahs that are to be offered upon entering it). Lets Catch Our Own Moon Fellows! @General: Thanks, and God bless you. @Momina: I think that it is divided in two categories in Saudi Arabia, in which case we don’t need a discussion on this subject. @Hend: May Allah SWT reward you for your sincerity. May Allah SWT save us all from the snares of satan, ameen. @Yusha: Everyone clearly understands the meaning of ‘Ibaadah. You are our version of the confused indian. May Allah SWT give you the ability to use the skill you obviously crave so much by mentioning it every now and then, ameen! @Hend: Very nice comment, bro. @Momina: Ibaadah literally means worship. It is not divided in two categories. You were correct in stating (in another post) that your knowledge about Islam is teeny. May Allah SWT be always with you and guide you along the path laid in the holy Qu’ran by Muhammad SAW. May Pakistan and its people prosper in every area and may the country be the most peaceful place where every person finds happyness. Inshallah! Isn’t it a fact that initially Eid prayer was offered individually and not in congregation? Financial aspect: the zakaat on wealth is two and a half percent (for Sunnis). Is this mentioned in the Holy Koran? If not, when was this decided? You talk of worship and write about Deen. Deen is divided into three parts according to what you have said not ‘Ibaadah. >In Islam worship is divided in two categories – the spiritual aspect and the financial aspect of worship. Worship is divided into three categories, and the financial aspect falls in the third.